We live in a world that is comprised of nearly 200 countries. Though there are many different cultures, beliefs, and languages, we were all created by God and come from the same original ancestors. We are connected, yet separated by so many differences. I think it is so important for children to learn about the world around them, to learn about these different people and realize we are all God's children. Children also need to realize that the world does not revolve around them and their little corner of the globe. That's why I thought it would be fun to try out this fun homeschool geography curriculum called Let's Go Geography from Carol Henderson. 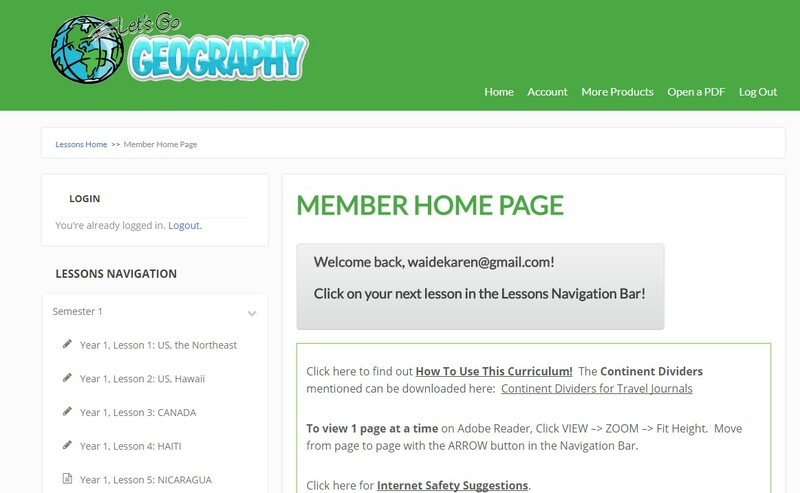 Let's Go Geography offers membership subscriptions which are available for a semester or a full year. Currently Year 1 of what will be a 3-Year program is available. As you can see in the above screenshot, if you complete this full three year program with your child(ren), you will be learning about over 75 countries, including the different regions of the United States. 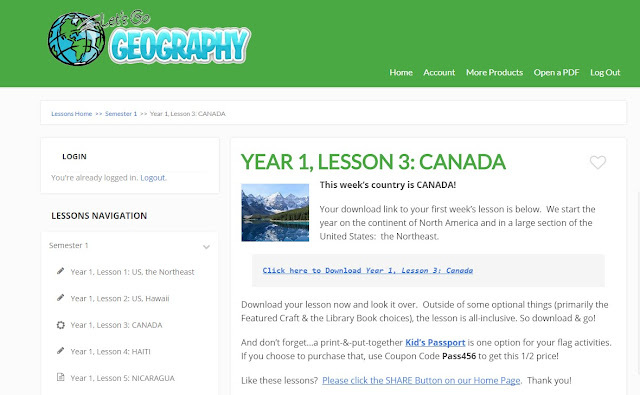 Let's Go Geography is designed to be used by children in kindergarten through fourth grade. So, if your desire is to complete the entire program, you would need to start in kindergarten, first grade, or second grade. That said, I have been using this with all four of my children, and they range in grade from kindergarten through fifth grade. Even Tabitha, our fifth grader is enjoying this curriculum, so if you didn't get started until your child was in third grade, I could see this program still working out. Another option would always be working through the program at a faster pace than one country per week, which is doable for older children. 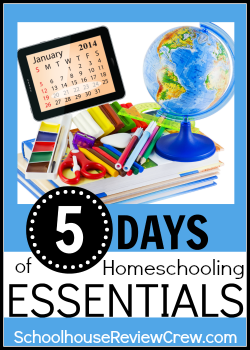 As a Homeschool Review Crew member I was given the option of choosing either a semester or a year membership. I chose the full year. This is their best option when it comes to finances, as it costs only $21.99 a year as opposed to $14.99 for each semester. However, it was also the best choice for our family because I planned on skipping around to different countries instead of following the order scheduled. We are allowed to do this, which was quite nice for us, as I used this opportunity to start by reviewing a few countries we learned about last year. In fact, even though we spent a year learning about different countries, we only focused on fourteen countries, all but one of which is included in the full 3-year program of Let's Go Geography. In Year 1, there are only three countries that we already learned about, so we are going to be learning about many new countries this year. Let's take a closer look at how this membership works. After I created an account and chose which subscription package I wanted, I was given access to my account. From there I was able to click on my "subscriptions" link in order to access my lessons. Additionally, we were given a free Kid's Printable Passport (which we ended up not using) and the bonus Travel Journal Covers which are currently free for those who sign up for membership. 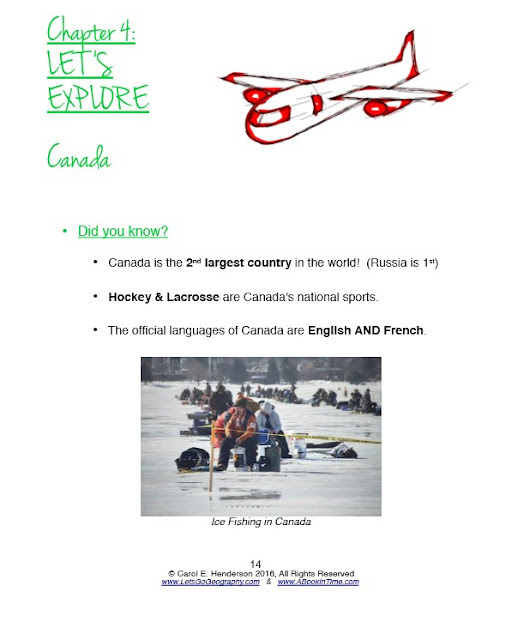 Ms. Henderson is actually quite generous, in that anyone could receive the Kid's Printable Passport for free, just by sharing about the Let's Go Geography program. 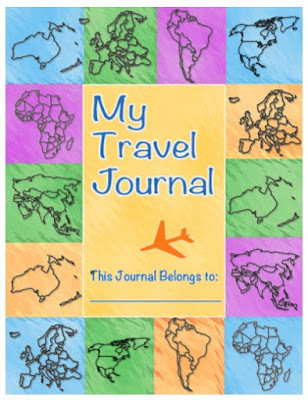 I can access the passport through my "subscriptions" link, but the Travel Journal Covers were given as a downloadable product. And this is one of the four Travel Journal Covers available. 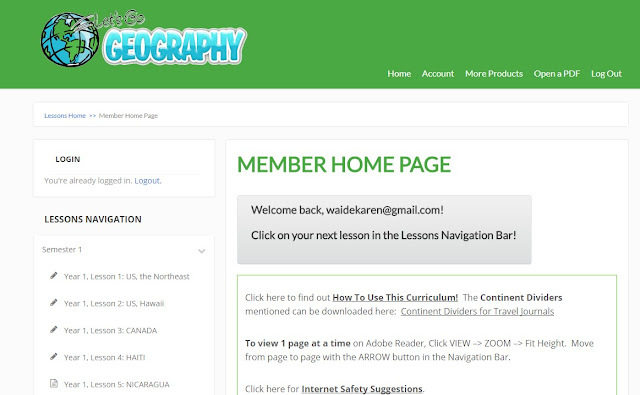 After I click on my subscription, I come to my home page, from which I have access to all the lessons for Year 1. As you can see, the lessons are listed on the left side of the screen. On the right you will find information to help you figure out how to use the curriculum, a download link for continent dividers, internet safety suggestions, and a link to click on if you come across any technical problems. 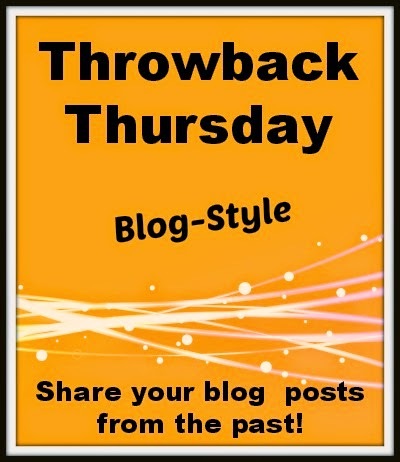 You can also leave a comment at the bottom of the page. From here, I click on the blue link to download the lesson. You want to make sure to actually download the lesson to your computer instead of just using it as it is when it appears on the screen. We have found that we get error messages if we try to get back to the lesson if it isn't downloaded on the computer. Once it is downloaded, you don't even have to log in to your Let's Go Geography account to access that lesson. 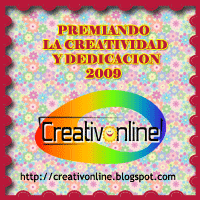 The lessons are completed using the online components and the hands-on activities. In addition to internet access, you will need a printer, printer paper, printer ink, and craft supplies (which are listed in each lesson). You will also need some sort of binder for assembling your Travel Journal. You may also want to obtain books about each country, which we do through our library. Now, let's take a closer look at the lessons. Are You Ready gives you some facts about the country. You will learn what continent it is on, the capital, the largest city, the official language, population, and size. The second page is an itinerary where your child can check off the activities once they have been completed. You will also find a list of materials needed for the craft, plus the call number to use to look up books on the country. Honestly, I never use call numbers, as I look up books using our libraries online search program, so I just search using the name of the country as the subject. However, if I was going to go to the library to search for books, having the call number would be quite helpful. On the first page of the Map It! section a link is given to print out the continent map. 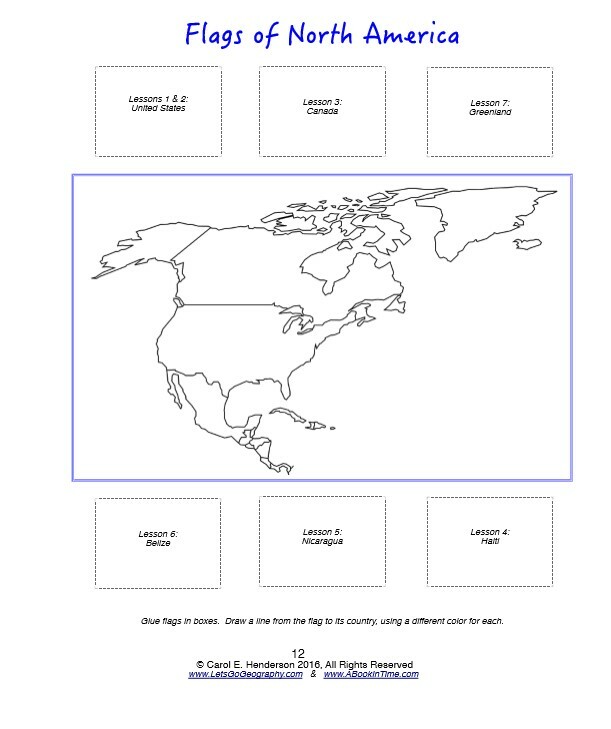 There are then activities to complete using the map. 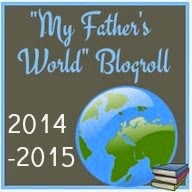 In addition to the continent map, there is usually some additional map work for older students. This might focus specifically on the country, or may look at different features in that region. For example, we looked at the provinces in Canada, the Galapagos Islands in Ecuador, the Gulf Stream in Norway, and the Arctic Circle in Greenland. Basic information is given about the country's flag, usually just the description. 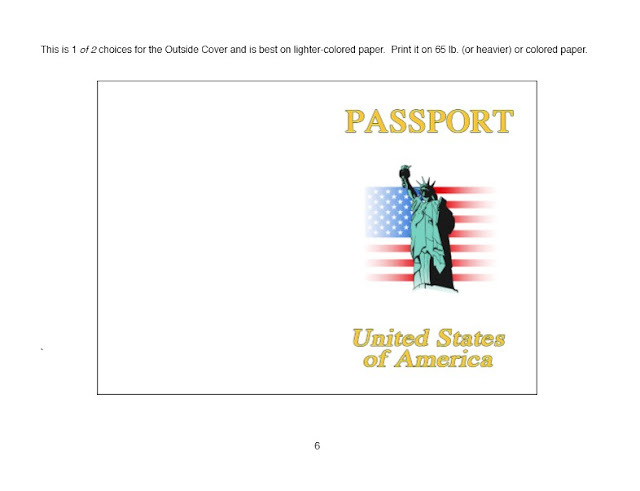 There are then 2-3 flags which are outlined in color for the children to fill in and include in either the passport or the "Flags of _________" page. We decided to use this Flags of the Continent page as opposed to the passport. As we have four children in our family using this curriculum, I did have to print out the flag sheet from the printables section which contains enough flags for a classroom, instead of the flag information sheet. I'm just glad that page is included, as I appreciated not having to print out the flag information more than once. 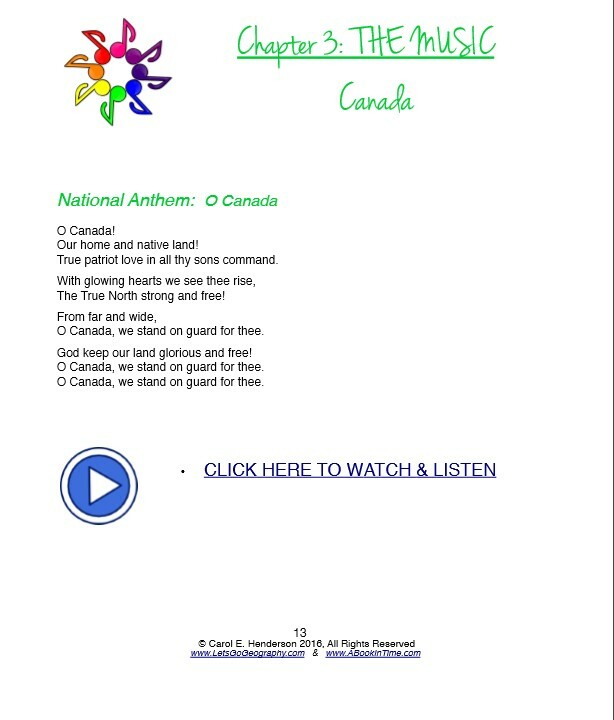 The next section shares the country's national anthem, translated into English if needed, plus a link to watch a video of the national anthem being performed, usually with some great footage of the country. Of course, this will depend upon what Ms. Henderson was able to find available. The children and I have really enjoyed listening to these different anthems. This section will share lots of interesting trivia about the country, along with links to videos and occasionally links to read more information about a certain topic. Each Let's Explore chapter starts with a "Did you know?" section. Then we'll go "sightseeing." We may look at the landscape, animals, how people live, different celebrations, popular places to visit, and famous features of the area (such as the Northern Lights). There is information to read, plus links to videos featuring what is being discussed. Then there is usually a link to go to some other site to read more about the country online. 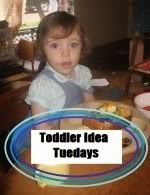 Older children then have the option to fill in a notebooking page with some of the information they have learned. At the end of this section there is a "Photo Album" with more pictures from the country. 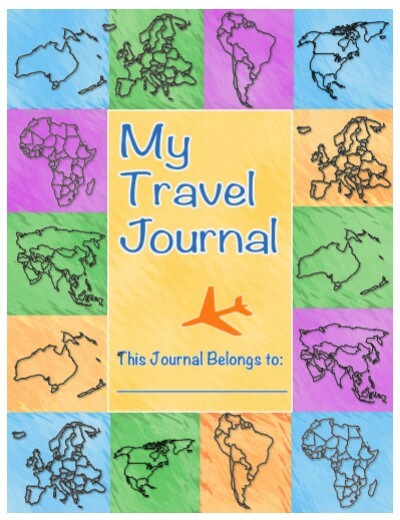 These can be printed and added to the Travel Journal. Included in this section are two activities. There is a Coloring Page and a Craft. This section actually shows a small image of the coloring page and explains what it is depicting. In order to print out the page, you need to go to the next chapter. You will see a picture of the completed craft, plus information as to why this craft is relevant to the country. Occasionally there are also links so you can find out more about the subject of the craft. Instructions are then given on how to make the craft, including the list of materials needed, steps for putting it together, and sometimes a link to see instructions for the original craft. Here you will find the sheet of flags suitable for classroom or large family use, the notebooking page, the coloring page, and any printables needed to complete the craft. Each lesson concludes with a farewell from the author, along with an "About the Author" page. As I mentioned, we started our studies by reviewing a few countries we previously learned about. The plan was to fit this information for these review countries (Canada, Norway, and China) in two weeks. However, we were discovering that we were learnings some great new information, so I ended up taking a full week for even our review countries. Then we chose to skip back and do one new country per continent. We got into a routine that we are still following. On Monday, the children and I will gather around the computer and I will pull up the lesson for our new country. While I do the girls' hair, I (or one of the older girls) will read the introductory information about the country, look at the flag, listen to the country's national anthem, and go "sightseeing." Usually, I am finishing their hair around the same time the videos are ending. Sometimes we sit/stand there a bit longer to finish up. That is the extent of our geography lesson for Monday, unless I found a picture book to read that focuses on that country. On Tuesday we will review the information while I do the girls' hair. The children will choose their favorite videos to rewatch. We also enjoy finding additional videos on the subject, if available. During the week we will find the time to do the map and flag work as a group. The children usually work on their coloring pages at the same time that we work on flag and map work. Though there are times that they take them to the YMCA to work on in the Child Watch while daddy and I exercise. (This picture shows various coloring pages, one each from each of the children's Travel Journals. When we were working on Ecuador, the children had the opportunity to color their page while I read a book. The book is called Paco Goes to the Fair: A Story of Far-Away Ecuador by Richard Gill. In the story the Otavalo market is mentioned, along with the lovely patterns made, which went perfectly with the coloring sheet. 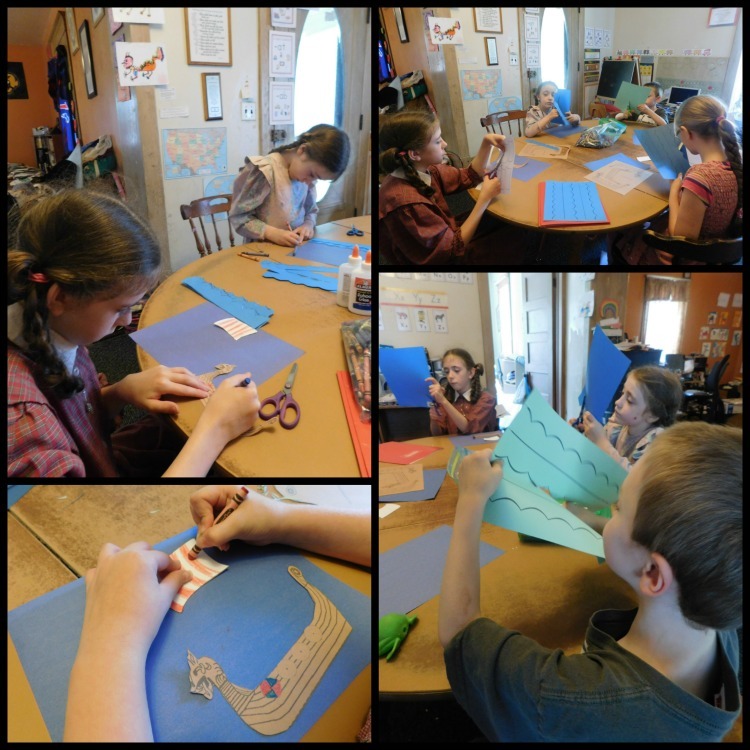 We then find time to do the craft, though it may not always be on the week we are learning about that country. The crafts are so creative, we definitely don't want to skip them, sometimes we just get too busy to do them right away. 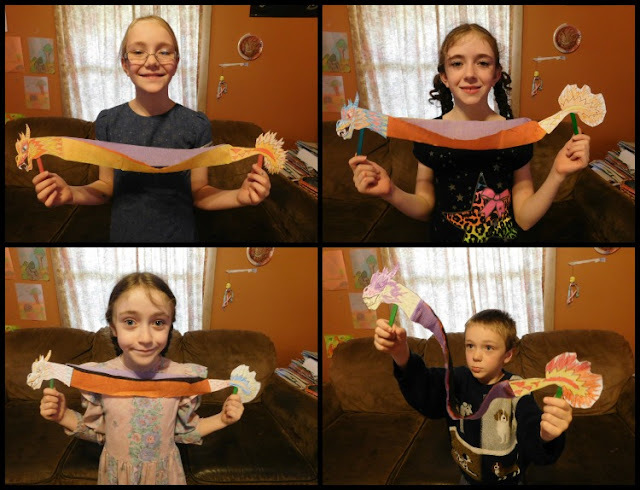 Here are the crafts that we completed so far. 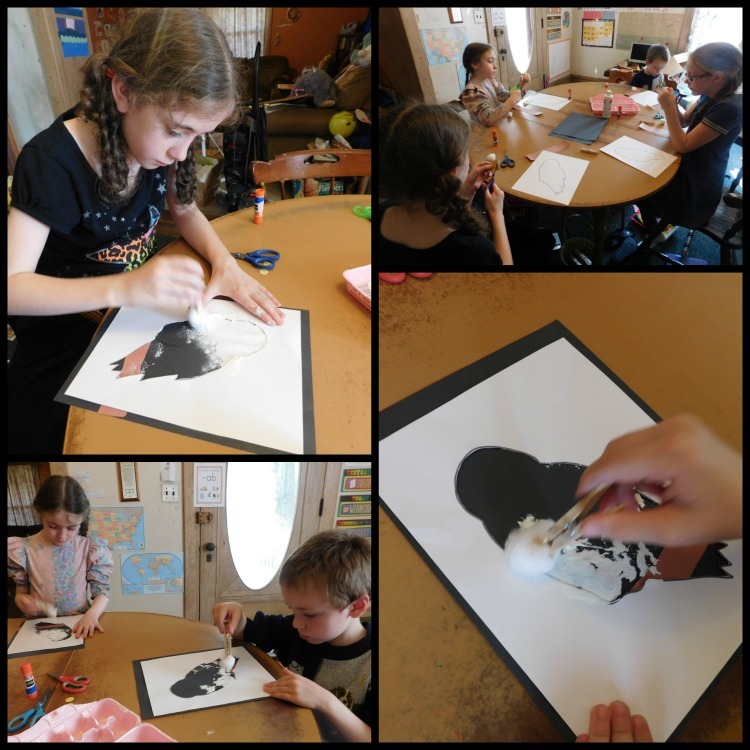 We still need to finish the reindeer that goes with our last country, Finland. The older girls also have their notebooking pages to fill out. I have the children tell me what they remember from our lesson and then I write all the information out. The girls are then allowed to choose several items they find most interesting to write down. As you can see, there are a wide variety of activities to complete in Let's Go Geography. Not only is it hands-on, but it is quite multi-sensory. The videos are great for visual learners, and there is written information that can be read aloud for younger children or auditory learners or read independently for older students. 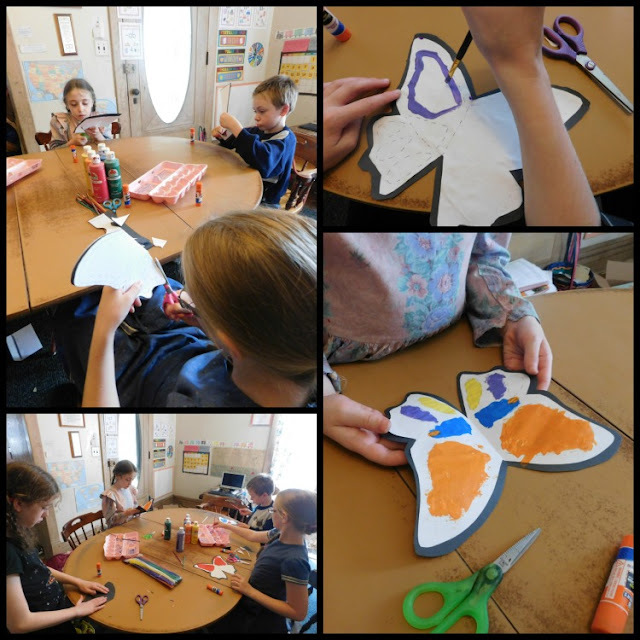 The crafts are wonderful for those children who enjoy tactile work. However, if the parent isn't fond of doing crafts, the author does state that not all of the activities have to be completed. 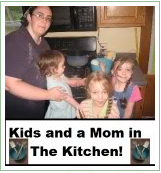 That said, even parents who struggle with crafts should find these crafts simple to complete with their children, seeing as the needed materials are easy to find, the printable parts are included, and the instructions are clear and easy to follow, with pictures included of the different steps. In fact, I've been able to walk away and let my children work almost independently with most of these crafts. One thing you do need to be aware of is that there are times when YouTube videos are no longer available, which is the nature of YouTube. What impressed me a great deal however, was the speed in which Ms. Henderson replaced the couple of videos that we had issues with. She updated the curriculum and emailed me to let me know this issues were fixed. So, if you come across a video that is no longer available for whatever reason, don't hesitate to use the contact information included on the third page of each lesson. 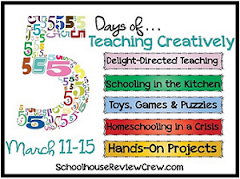 We are loving this curriculum. If you couldn't tell. I do have to say, there is one aspect I wish was a bit different. I would love to see a few different options for the notebooking pages. I think my youngest children could fill this out if there was a dotted line page. And my older daughter prefers to write smaller, so we added lines in between each line on the page. I would prefer to not do this for each country to get to. I mean yes, she could use loose leaf paper or a spiral notebook, but I love the page that coordinates with the curriculum. A page with smaller lines would be a wonderful addition to this program. Let's Go Geography is most definitely a program I can recommend. It is a wonderful, hands-on curriculum to introduce elementary aged children many countries in God's amazing world. We have LOVED seeing the various landscapes and animals God has created throughout the world through the pictures and videos. I did want to clarify that this is not a Christian curriculum. It can be used by homeschoolers of any belief system. I just love that it exposes children to the wonders of God's creation. 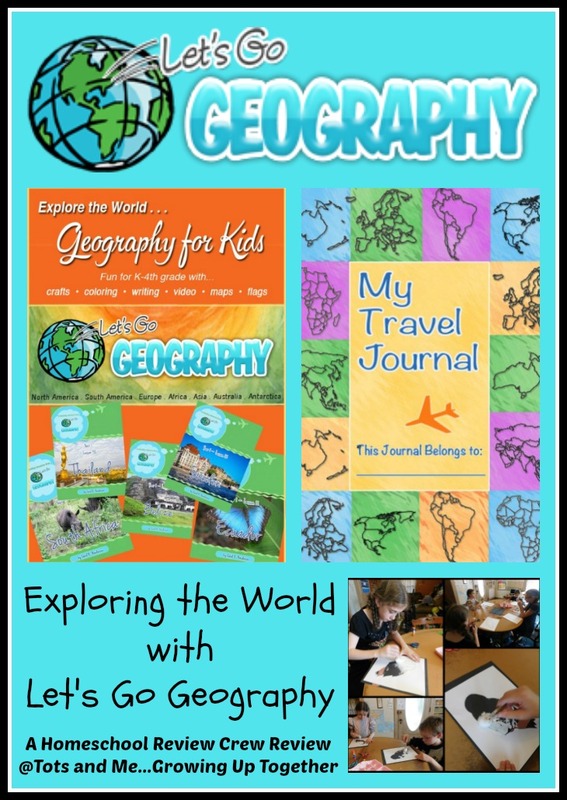 You can find Let's Go Geography on Facebook and Pinterest. Don't forget to click on the banner below to see what my fellow Crew Mates had to say about Let's Go Geography. Your children did such a lovely job with their crafts! We really enjoyed this geography curriculum, too.